(L to R) Daniel Grace, Tracey Lewis and James Larkman. Three unsung heroes from Merseyside have been nominated to win a new Community Hero award which recognises the work done by members of the public who go above and beyond to help those on the autism spectrum. James Larkman, Tracey Lewis and Daniel Grace were all nominated by members of the public for their outstanding services to the autism community, and are all in the running to receive the final award which will be presented by Wirral-based charity, Autism Together. The awards are the first of their kind in Merseyside, and were held to celebrate the 50thanniversary of Autism Together. Other categories in the scheme include a Lifetime Achievement award, Staff Excellence award, and Autism Champion of Champions award. 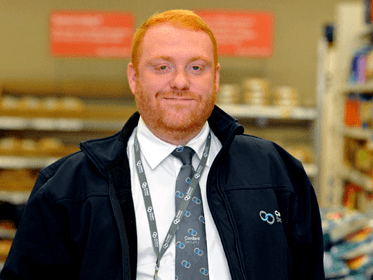 James Larkman, a security guard from Tesco, was nominated for his kindness and willingness to comfort a young man with autism outside the superstore when he was feeling very anxious. James has become a family friend and even takes the young man to football matches with his own family. Tracey Lewis was nominated by a support worker at Autism Together, and owns and runs Alcatraz Barbers in Bromborough Village. She was nominated for going the extra mile, as she often goes to service user’s homes to cut their hair if they are not confident going out into the community. Dan Grace, a football coach at IM Marsh in Liverpool, was nominated by a friend for the work he does volunteering as a children’s football coach. Dan regularly gives his time to support the autistic children in his team and worked for several years as an unpaid volunteer, even buying equipment for the club out of his own funds.